The AMRAY directory was reviewed for Web Directory Reviews Org as it has been in our top ten since it was first reviewed in October of last year. Each quarter, I assess and rate twenty web directories for Web Directory Reviews Org. Those directories that make it into the top ten are reevaluated the following quarter, competing against one another and ten additional directories. The last AMRAY was reviewed, although it came in behind Yahoo! Directory, and had actually tied on points. That being the case, it might also be said that Yahoo, and AMRAY tied for third place, and I'm thinking of scoring my top ten in such a manner in subsequent top ten lists. The Moz Domain Authority for the AMRAY directory is 50/100, while the Page Authority of its index page is 58/100, its Page MozRank is 5.82 and its Page MozTrust is 5.74. Its Majestic SEO Trust Flow is 30, and its Citation Flow is 35. Basic listings may be submitted to AMRAY for free, while premium listings are $29 per year or $39 for permanent inclusion. When I review a directory for Web Directory Reviews Org, I try to do so from the perspective of a directory user, so SEO metrics do not figure into the ratings of the directory. I will be looking at the directory's aesthetics (10%), content (25%), intuitiveness (20%), quality (20%), and usefulness (25%) of the directory, and may assign up to five extra points for useful content that is not ordinarily a part of a web directory. The index page of the AMRAY directory is centered horizontally, but at the top of the page, vertically. The design of its header fits well with that of the remainder of the directory. Below the header is the directory's peripheral content, consisting of a variety of webmaster tools. Below that, is the search bar, which defaults to directory searches, but allows searches on the web, or AMRAY's MP3 downloads. The main menu itself consists of five symmetrical top-level categories, each consisting of two words combined with an ampersand, except for Singles Singles, which doesn't really stand out as being asymmetrical. The main menu is presented with a background that consists of a faded world map. Its internal pages are well set out, with a thumbnail image of each listed site, and an informational box to the right of it. All in all, it's an attractive presentation and aesthetics of AMRAY are pretty good. I scanned the AMRAY directory yesterday, using Scrutiny. When I am reviewing large directories, such as AMRAY, I limit the number of links that I scan for to 400,000, to avoid crashes. AMRAY topped out at that number. Scrutiny flagged 7,029 links as being bad but I would estimate that more than three fourths of them were timeouts, which are often not actually bad links, so it would seem that AMRAY has a low bad link count. I browsed through several of AMRAY's categories and subcategories and did not come across any empty ones. There were several that could be subdivided further, but that's another matter. Unlike several other directories that I have looked at, AMRAY did not copy its taxonomy from the Open Directory Project (DMOZ) or the Yahoo! Directory. Its category structure appears to be unique, yet fairly easy to follow. One detractor that I have to note is that its category structure is not very deep; there are several categories with multiple pages of listings, rather than subcategorizing or separating obviously regionally oriented sites to a regional category, of which there is none. AMRAY has no regional category, the closest being its People & Places tree but, even t here its content is listed topically, leaving users to wade through multiple pages of sites in its Hotels & Motels subcategory in order to find a hotel in any particular place in the world. Directory users could use AMRAY's search feature, of course, which is perfectly functional; still, I would consider this to be a weakness. There is no use of @links, related links, or See Also links but its category structure is not so deep as to require such. I could point out some bad edits, but this is probably true of any directory the size and age of the AMRAY directory. In large part, however, site titles and descriptions meet the standards of the directory. AMRAY does use the sentence fragment model for site descriptions, with the first sentence fragment briefly defining the company or organization, while the second describes some of the features on the site, a model that is very similar to that used by DMOZ, Best of the Web, and several others. This type of description was adapted early on by web directories, perhaps because a lot of people were connecting to the Internet by dialup, or because server space was at a premium; I don't know, but we don't generally consider incomplete, or grammatically incorrect, sentences to be of good quality on any other website, so I am of the opinion that the same rules should apply to web directories. More descriptive descriptions would also help directory users determine which sites they want to visit in a category, and provide textual content for the purpose of search engine optimization. The AMRAY directory handled a scan by Scrutiny without trouble, and the fact that there are very few bad links or empty categories speaks well of the quality of the directory. There is enough content on the AMRAY directory for it to be useful. This is somewhat hampered by the fact that so many of its categories are too large, to a point where a directory user would be faced with multiple pages of site listings. Category descriptions would also be a plus, for site submitters as well as users who may be interested in topics included in the directory. They would add useful textual content that would be spidered by search engines, enhancing the value of a listing to sites listed in these categories, and users who are sufficiently interested in a topic to browse its pages in a web directory may find well written category descriptions to be helpful as well. Although this is a greater boon to site submitters than directory users, I like the fact that a listing in the AMRAY directory actually yields several direct links to the site: one on the category page, a couple more on the "rate it" page, and others in the details page. Also, the details page includes SEO metrics and other details about the listed site, including a Google map. Directory users are able to rate or review listed sites, or to report dead links. AMRAY is one of the oldest and largest directories on the Internet, and one of the best web directories online. Its administrative and editorial staff are to be commended. Aviva Directory has a Moz Domain Authority of 62/100, a Page Authority of 68/100, Page MozRank of 6.52, and Page MozTrust of 5.97. Its Majestic SEO Trust Flow is 55, and its Citation Flow is 43. The review fee for submissions to Aviva is $49.95 per year or a one-time payment of $149.95. Up to five hundred characters are allowed in a site description. The submission of inside pages are permitted. During my evaluations of web directories for Web Directory Reviews Org, I view each directory from the perspective of a directory user, rather than that of a website owner or search engine optimization professional, and each directory is rated in five areas: aesthetics (10%), content (25%), intuitiveness (20%), quality (20%), and usefulness (25%), allowing up to five additional points for useful features beyond those covered in other areas of my assessment. Each calendar quarter, twenty web directories are reviewed, including the ten most highly ranked directories from the previous quarter and ten additional directories. Aviva Directory has been among our top ten directories since I began our series of web directory reviews, coming in #4 in the first quarter of 2013, #1 in the second and third quarters, #2 in the fourth quarter, and #3 in the first quarter of 2014, so this will be my sixth review of Aviva Directory. Over this time, my criteria has changed between quarters and, and Aviva has made changes in its directory over the time that I have been publishing reviews, but so have some of the other reputable web directories. Using a dark background is a brave choice to make in a website, perhaps because it is most often done badly, but I don't believe that this is the case with Aviva Directory. For one thing, its background is not black, but a couple of shades of gray, and Aviva uses green and white text, which reads comfortably against its background. Through the use of a green header and text, as well as the "Aviva Girl," the directory sets a theme of spring, "aviva" being Hebrew for that season. The directory's fourteen upper-level categories are sorted in two columns of seven, each consisting of two words joined by an ampersand, with direct links, to four subcategories within each, listed below each upper-level category. Introduced shortly before my last review, links to featured articles are presented, quite attractively, between the header and the main menu. Color-coded, in association with directory categories, four different articles are presented each time the index page is refreshed. Since it was first introduced a few months ago, the number of featured articles has grown considerably, and they are unique to Aviva Directory. To the right of the main menu, Aviva's regional and blog directories are highlighted, as well as its selection resource writings, which includes a regularly updated best web directories list, a blog, and informational articles on a variety of topics. There is no third-party advertising within any of its directory pages, and the only advertising that I have seen on the domain is found in the right sidebar of its best web directories list, which highlights a few other reputable web directories. I'm giving it nine out of ten points, but I'm not sure what they could do to make it nicer. In order to determine a comparative idea as to the size of a directory, I scan it with a program called Scrutiny, which counts the number of links on a domain and flags any that are bad. Scrutiny includes every link that it finds though, and doesn't differentiate between outgoing directory links and internal navigation links, or other types of links on the domain, so it's not an exact number; still, it is useful for comparing one directory to another. Scrutiny is aggressive so, in order to avoid crashes, I limit the number of links that it looks for to four hundred thousand, and I have evaluated some directories that have topped out at that number.Scrutiny found 138,242 links in Aviva Directory, and found very few bad ones. Additionally, I have browsed through several of the directory's categories and subcategories and haven't found any empty ones; there were e few with only one or two sites, but that's okay, and most had well over five. The taxonomy of Aviva Directory is unique and intuitive, using a solid category structure that is generally adhered to. Although there is no use of above or below the line features, @links are used when necessary. Site listings are displayed in alphabetical order. Larger categories are displayed on one page, although most of its larger pages are subdivided into subcategories. There are no empty categories, as far as I can see, and sites are generally placed in appropriate categories.Its search feature displays both sites and categories that match the search term or terms entered, although greater accuracy is achieved in searches using only one word. A large majority of the sites listed in Aviva Directory were added to the directory by its editors, rather than through paid submissions, and even its paid submissions are evaluated for quality, and both titles and descriptions are modified when indicated. There are certainly listings within the directory that use the sentence fragment model, but there are several that use full, grammatically correct, sentences. Some of its site descriptions are brief, but most are descriptive, and I haven't come across any that were really bad. The directory is mostly free of promotional language, misspellings, or poor grammar, except as noted above. Titles are the actual title of the site, with few exceptions, although I have come across a few listings that use the domain name as a title.Every category has a description, and most of them are fairly descriptive, although I'd like to see longer descriptions. Some of its descriptions, such as in its Luminaries section, include links to other related categories. The directory withstood a scan by Scrutiny without trouble, and there were very few bad links. While not as large as some of the directories in our top ten, and even some that didn't make it into our top ten, Aviva Directory has enough content to be useful as a web directory. Established in 2005, Aviva Directory hasn't been around as long as most of the much larger directories that I have looked at, but it is on the right track. Its content is largely of good quality, well arranged, and accessible. Several months ago, Aviva improved its in-site search so, with good titles and descriptions, sites are easily found through its search as well. Aviva Directory does not offer preferential place of sites, and sites are sorted alphabetically, which makes sense for users browsing its categories. Additionally, while the SEO value of a category might be greater when a directory automatically splits categories into multiple small pages, directory users seldom look beyond page one or two, so Aviva's policy of displaying every site in a category on one page enhances the user experience. Its category descriptions are short, as compared to Jasmine Directory or a few others, but they are longer and more descriptive than most of the directories that I have looked at, many of which had no category descriptions at all.Its regional categories are full-featured, and constantly being improved upon, and I haven't found any empty categories anywhere in the directory. Several of the categories in the Aviva Directory feature articles that give additional information about the category, as well as pointing to related categories. These articles may be accessed randomly from the directory's index page, or within those categories that include them. Some of these articles function as an extended description, while others focus on one particular topic related to the category. Aviva Directory includes an active blog directory, which currently accepts free submissions. Like the main directory, Aviva Directory editors are constantly adding content to its blog directory, as well as reviewing submitted blogs. Upon my evaluation of Aviva Directory, I have assigned it a rating of eighty-seven percent. There are older and larger directories, but Aviva Directory is growing every day, and has earned its place among the reputable web directories in the industry. Best of the Web has been in our top ten lists every quarter, taking the #7 spot during the first quarter of 2013, #2 in the second and third, #1 in the fourth, and #2 in first quarter of 2014. When a directory ranks in the top ten directories for one quarter, it is included in our reviews the following quarter, along with ten additional directories. Between quarters, changes are made to the evaluation criteria, and I may think differently about certain aspects of a directory from one quarter to the next, so directories don't always rate the same in consecutive directories. The Majestic SEO Trust Flow of BOTW is 54, while its Citation Flow is 47. Its Moz Domain Authority is 79/100, the Page Authority of its index page is 83, its Page MozRank is 6.52, and its MozTrust is 6.42. The review fee for the Best of the Web directory is $149.95, a one-time payment that includes links to social profiles. For $199.95, a listing in its Local Listing section may be included. Additionally, BOTW includes a ProListing feature, which allows for additional deep links to the site, at a cost of $7.95 for three Sublistings. Bulk prices are also available. Best of the Web was established in 1994, but it first appears in the Internet Archive as a web directory on April 21, 2003. Prior to that time, Best of the Web issues awards to the best websites in a variety of categories, issuing these awards in 1994, 1996, 1997, and 1998, after which the domain was dormant until it was resurrected as a web directory in 2003. As a web directory, then, it has really only been around since 2003, which still gives it a place as one of the earlier web directories still in existence, although it was preceded by several others, including the Yahoo! 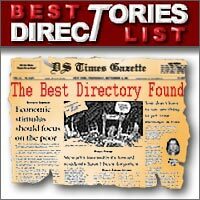 Directory, the Open Directory Project (now DMOZ), AMRAY, and others. Best of the Web is one of the larger directories, topping out at 400,000 during my assessment. In order to gain some idea as to the comparative size of a directory, I scan each directory that I am going to review, using a program called Scrutiny, which reports on the total number of links on a domain, although it does not differentiate between outgoing directory links and internal links, such as navigational links. To avoid crashes, however, I limit the number of links that it scans to 400,000. While reviewing directories for Web Directory Reviews Org, my ratings are based on my evaluation of each directory in five different areas, viewed from the perspective of a directory user, not as a site submitter or search engine optimization professional. I do this for three reasons. One, an SEO-based review would, by necessity, have to be include, and be largely guided by, SEO metrics, all of which factor in variables that have nothing to do with the user experience, and in which I am unable to judge their validity. Secondly, there are already review sites that discuss and rate web directories based on a variety of SEO metrics. Lastly, I am convinced that if the purpose of of a search engine algorithm is to give prevalence to useful sites, then a site that is truly useful as a web directory should rise to the top. You may disagree, of course, but these are my reasons. The five areas of my evaluation are aesthetics (10%), content (25%), intuitiveness (20%), quality (20%), and usefulness (25%). Of necessity, there is some overlap within these areas, and I allow myself to add up to five points to the overall score for useful features not otherwise addressed. The design, the look, or the feel of the Best of the Web directory hasn't changed any, or at least not significantly, It uses blue text on a white background, with very little in the way of design features, other than a logo. Best of the Web sorts its content within sixteen upper-level categories, arranged in three columns of five each, with its Regional category spanning two columns of a sixth row. Except for its Kids and Teens category, its upper-level category name choices are symmetrical and, being in the center of the main menu, the directory retains a sense of symmetry even with its Kids and Teens category. Its Kids and Teens category is not colorized, as some directories do, and I consider that to be a plus. Subpages make a nice presentation generally, but some of its subpages present subcategories centered, in columns, just above the site listings, while others present subcategories in one column, displayed in the right sidebar, with the site listings to the left. During my scan of the Best of the Web directory, it topped out at 400,000 links and, having browsed through several of its categories and subcategories, I did not come very many empty ones. The Best of the Web directory's taxonomy closely follows that of DMOZ, which is reasonable considering that BOTW's team of editors largely came to the directory from DMOZ, and my understanding is that BOTW began with a data dump from the Open Directory Project, which is the directory now known as DMOZ. There are currently differences between the category structure of the two directories, as BOTW has made changes to its original structure based on needs. Nevertheless, its category choices are sensible and should be intuitive to most directory users. Best of the Web uses above and below the lines features, as well as @links, See Also links, and other niceties that may serve to help users find their way around the directory. Additionally, whenever applicable, Best of the Web's pages link to those of Wikipedia, DMOZ or the Yahoo! Directory, and preconfigured searches are included for the Google, Bing, and Yahoo search engines. When applicable, its Regional categories include links to corresponding BOTW Local pages. Its search features work well, displaying site listings whose titles or descriptions match the search term or phrase sought in one column, as well as categories in another. Best of the Web uses sentence fragments rather than complete, grammatically correct, sentences in its site descriptions, and the majority of them are very brief, seldom more than one brief line, and I have come across several site titles that represent the domain name rather than the actual site title. I am not, however, seeing promotional language, misspellings, or grammatical errors, except has outlined above. Scrutiny was able to scan the directory without difficulty, and it did not find very many bad links. Additionally, in my manual review of the directory, I found very few empty categories, and those that I found were in deep categories of its Regional tree, where it appears that editors had created more subcategories than they were able to find links for. The Best of the Web directory includes a lot of links, which are well organized, and easy to find. The use of above and below the line features, @links, and See Also links serve to aid users in finding the content they may be looking for. Its Regional categories are very well fleshed out, including categories and links for even very small cities and towns. On the down side, there are no category descriptions, and site descriptions could be much more descriptive than they are. Since the purpose of a web directory is to assist users in finding resources on the Internet, the use of more descriptive text would be a significant improvement to the directory. At one time, BOTW included category descriptions, a useful feature that the directory discontinued for some reason. Besides its main directory, Best of the Web includes a Blog Directory, a UK Directory, and a Local Directory, each of which provide additional content. Best of the Web also offers an affiliate program. Upon my evaluation of the Best of the Web directory I have assigned it a rating of eighty-four percent. Best of the Web offers a lot of content and excellent organization. Directory Journal was evaluated for Web Directory Reviews Org on June 10 and June 11, 2014. Established in 2007, Directory Journal has been in our top ten since the first quarter of 2013, when we first began conducting directory reviews. It was our #9 directory during the first quarter of last year, #5 in the second and third, #4 in the fourth, and our #1 directory in the first quarter of 2014. Whenever a directory makes it into our top ten, it is included in the reviews that we do the following quarter, so half of the directories that we review each quarter are (usually) being reviewed for the first time, while the others consist of our top ten from the previous quarter. At some point, I might change that but this is the way that it's been done for the past six quarters. The Majestic SEO Trust Flow for Directory Journal is 44, while its Citation Flow is 39. Its Moz Domain Authority is 56/100, and the Page Authority of its index page is 64/100, its Page MozRank is 6.04 and its Page MozTrust is 6.26. I no longer report Google PageRank or Alexa Traffic Rank because the one has been deprecated, and is seldom updated, while the other is too easily manipulated to mean much of anything. Submission fees are $59.95 per year or a one-time payment of $159.95 for a regular listing, or $99.95 per year or $249.95, as a one-time payment, for a featured listing. Regular listings may include up to three deep links, while up to five can be included with a featured listing. The reviews that I do for Web Directory Reviews Org are conducted from the perspective of a directory user rather than site submitter or search engine professional. From that perspective, each directory is evaluated in five areas: aesthetics (10%), content (25%), intuitiveness (20%), quality (20%), and usefulness (25%). In addition, up to five extra points may be added for content not generally seen in web directories or for useful features not covered elsewhere. There is considerable overlap in some of these areas. Some changes are made in the evaluation criteria between quarters, so a directory will not necessarily score the same from one quarter to another. Additionally, since I am a human being rather than an algorithm, my opinions might change slightly from one quarter to another. My initial impression of the index page of Directory Journal is that it is a bit busier than I like, and that it looks like there is a lot of advertising. As a rule of thumb, I prefer that the index page be entirely above the fold. Of course, I violate this rule myself, in my directory of directories. However, while there is vertical scrolling in Directory Journal's index page, it is not necessary to look beneath the fold for the directory's main menu, and its advertising is to first-party products, or to internal pages of the Directory Journal site itself, which are, for all practical purposes, little more than navigational links. Directory Journal's index page includes a header, navigational bar, and search field. Beneath that, nine top categories are highlighted, with a flat map of the world to its right, serving as an image map, and a starting point for the directory's regional categories. Below the top categories links and image map is the directory's main menu: seventeen upper-level categories, arranged in two columns of six, and one of five. Its upper-level categories are asymmetrical. Beneath that are links to several of the directory's internal pages, webmaster tools, blogs, etc. Its internal pages are attractive. Each category has a description, and site listings are separated from one another with a horizontal rule, providing a thematic break. As a tool in determining the amount of content that a web directory has, I scan each directory that I am going to review with a program called Scrutiny, which tells me the number of links that are found in a domain, as well as flagging those that it determines to be bad, for whatever reason. Scrutiny does not differentiate between outgoing directory links and internal links, such as navigational links, so the actual number of directory links is lower than the total number of links found. Nevertheless, it gives me an idea as to the size of a directory, especially as compared to other directories that I have scanned. I limit the number of links to 400,000 to reduce the likelihood of a crash, either of Scrutiny or of the server being scanned. Some of the directories that I have viewed had in excess of 400,000 links. During its scan of Directory Journal, Scrutiny found 246,259 total links, which is a few hundred less than I found when I reviewed the directory last quarter. Directory Journal's taxonomy is well organized, and it makes use of several features that serve to make things easier for users to find their way around, such as @links and above and below the line capabilities. I know I mentioned last quarter that the topical @links for Real Estate and Shopping were mixed in with the state categories in the United States section of the directory's regional tree, rather than below the line with the other topical categories, and I see that this is still the case. I see that, in its North America category, the topical category, Travel and Tourism, is mixed in with geographical categories, and I'm not sure why that is, since there are very few sites involved. Nevertheless, the majority of its categories and subcategories are well thought out, and executed in such a way that users should have little difficulty finding their way around. Featured listings are listed above regular listings, which detracts slightly from the user experience, but they are easily discernible from regular links. The directory's search feature works well when the search term or phrase is included in the site's title, description or category. For this reason, longer, more descriptive, site descriptions would enhance the usefulness of the directory's in-site search. Paging through the directory's categories and subcategories, I can see that site titles do not include extraneous keywords or spam, although I am seeing quite a few that use the domain name in lieu of the actual site title. Site descriptions use a sentence fragment model, and many, if not most, of its descriptions are on the skimpy side, this despite the fact that, according to its site submission form, up to three thousand characters may be used in a site description. Longer descriptions would add textual content to the directory, as well as allowing sites to be more easily found through the directory's search features. I did come across some bad links, and Scrutiny flagged quite a few links as being bad, although quite a few of them were not actually bad. Directory Journal includes sufficient content to be useful as a directory, and this content is well organized. Most of the directory's categories include category descriptions, although many of them would benefit from being longer and more descriptive. Still, several of the directories that I have looked at have no category descriptions at all, so it is good that they are in use here. There is not a lot of content in Directory Journal's regional categories but its topical categories are well represented. Directory Journal includes several blogs, although some of them haven't been updated in recent months. Other content includes webmaster tools and an affiliate program. Directory Journal is a well organized general directory. JoeAnt has been among our top ten since we began publishing directory reviews in the first quarter of 2013, coming in #5. In the second quarter, it came in #8, as it did in the third and fourth quarters, as well as the first quarter of 2014. Whenever a directory makes it into our top ten, we enter it into competition again the following quarter, along with the other directories in the top ten as well as ten additional directories. Other than DMOZ, JoeAnt is perhaps the most successful volunteer directory projects. Plans for the directory was formed in 1999 after editors with Disney's portal, Go.com, learned that Disney was shutting down its volunteer web directory. JoeAnt went online in May of 2001, primarily staffed with former Go Guides. Its Moz Domain Authority is 60/100, and the Page Authority of its index page is 66/100. Its Page MozRank is 6.77 and its Page MozTrust is 6.04. Its Majestic SEO Trust Flow is 48, and its Citation Flow is 41. The cost for submitting a site to JoeAnt is a one-time fee of $39.99, but its submission form encourages submitters to become editors, and it's okay to add your own site as long as the directory's guidelines are followed. When I review directories for Web Directory Reviews Org, I try to view them from the perspective of a directory user rather than as a site submitter or search engine optimization professional, at least for the purpose of my ratings, with the simple assumption that a directory should be capable of directing someone to something useful. This means that there has to be content, and that the content has to be organized in such a manner that it can be found, while recognizing that there are a lot of ways that this can be done. As with the others that I have looked at, JoeAnt will be evaluated and rated in five general areas: aesthetics (10%), content (25%), intuitiveness (20%), quality (20%), and usefulness (25%). I may also add up to five additional points for extra content not usually found in web directories. My criteria changes somewhat from quarter to quarter, so a directory won't necessarily rate the same from one quarter to the next. All right, let's see what we have. The general appearance of the JoeAnt directory hasn't changed much since early 2007, although it is taking up more of the horizontal real estate on the screen now, taking on its current look sometime in 2009. The look and feel of JoeAnt is pleasant, but then I'm a sucker for pastels. Everything on its index page is above the fold on the screen, and I'm partial to that, as well. Its main menu consists of fifteen upper-level categories, arranged in three columns of five each. The appearance of the main menu might be improved if its columns were centered within the menu box, rather than left justified. The last five times I reviewed JoeAnt, I hadn't noticed that so I don't know how big of a deal that is. JoeAnt's upper-level category names are asymmetrical, with seven of them consisting of one word, seven of two words joined with an ampersand, and one with two words. The effect of this on the aesthetics of the directory is minimized by the amount of white space between the columns, however. Internal pages display advertising banners above and below the listings. As a means of determining the comparative amount of content included in the directory, I scan each directory with a program named Scrutiny, which determines the total number of links found, flagging those that are bad. Since Scrutiny does not differentiate between outgoing category links and internal links, such as navigational links, this is not an accurate reflection of the number of outgoing links that a directory has, but it is useful in the way of comparison. Scrutiny found 139,559 links. According to my evaluation criteria, that would put it in the 20-22 point range. JoeAnt's taxonomy, particularly at the upper levels, is fairly standard and easy enough for anyone to figure out. The directory does not use @links or above and below the line features, although it does utilize See Also links. Where there are no links listed directly under a category, JoeAnt returns results that use the category name as a keyword, which is a nice touch. Listed sites are rated by an editor, and given from one to three stars, and sorted accordingly within the category. There are pros and cons to this approach. When the rating editor has chosen well, there may be an advantage to the better sites appearing first. Otherwise, the disadvantage might be that useful sites may be overlooked due to poor choices, or differing tastes among editors. Searches return, not only sites whose titles or descriptions match the keyword or key phrases used, but also the editor rating of each results, and the features (audio, chat, downloads, games, shopping, video) that it offers, as well as whether membership is required, and whether it is an editor site, since sites belonging to editors are marked as such. The category (topic) that each result is listed in is also given. I have to question some of the results, however. For example, when I search on the keyword "directory," the second result returned is to Paint Depot USA, which is not a directory, and does not contain the word in either its title or description. In fact, more than half of the sites listed on the first page of the results appear to be wholly unrelated to the search term. On the other hand, a search on "North Dakota" returns much more favorable results. Although JoeAnt's submission guidelines call for complete sentences, the majority of its descriptions use sentence fragments; limited to thirty words, they tend to be on the skimpy side, and several use the domain name as a site, rather than the actual title. I found no promotional language or misspellings, and the majority of its descriptions were reasonably descriptive, despite limitations. It is clear that the majority of JoeAnt's listings were added by editors rather than submitted to the directory through its paid option, and I know that they still have an active crew of editors, albeit perhaps small. Scrutiny found a lot of bad links, and most of those that I spot-checked were indeed bad. The JoeAnt directory includes enough outgoing directory links to be useful for its intended purpose, and it is sufficiently well organized so as to allow its content to be found. Descriptions are briefer than I would like, by far, but they are reasonably descriptive. I didn't come across any empty categories in its topical section, but its By Region section is devoid of much content. I would think that someone browsing its By Region tree would be disappointed in the lack of content in that part of the directory. In the JoeAnt directory, the By Region section is intended to include only those sites that serve a specific region, which is different from the regional categories in other general directories. JoeAnt does not use category descriptions, which is a significant lack. Category descriptions are a standard feature in most web directory scripts and, when used properly, they serve to aid both directory users and submitters, as well as providing textual content for the purpose of search engine optimization. While there are some problems with its search features, on certain searches, for most searches it works quite well. Longer descriptions would probably improve the efficiency of its search, as well. Its inclusion of various features found in listed sites is a plus, and in some part makes up for what is lacking in its site descriptions. Although mentioned within other sections of this review, JoeAnt's rating system and inclusion of the various features of listed sites are things not found in most other directories. Recognizing the difficulties in maintaining an active volunteer directory, I'll give it an extra point for that. I reviewed the JoeAnt directory for Web Directory Reviews Org on the basis of that evaluation, I rated it at seventy-eight percent. Although I haven't calculated the results yet, I believe that JoeAnt's rating will have earned it a place in our top ten again this quarter. This is fitting, as it is one of the better directories on the Internet. If you have ever thought of becoming a web directory editor, I can tell you that, while my wife and I have in large part earned our living through web directories for more than a decade, it is becoming increasingly tough. Still, it has been a satisfying experience, even when I was editing for free for the Open Directory Project (now DMOZ), Go.com, and Zeal. Please consider registering for an account with JoeAnt, and try your hand as an editor.